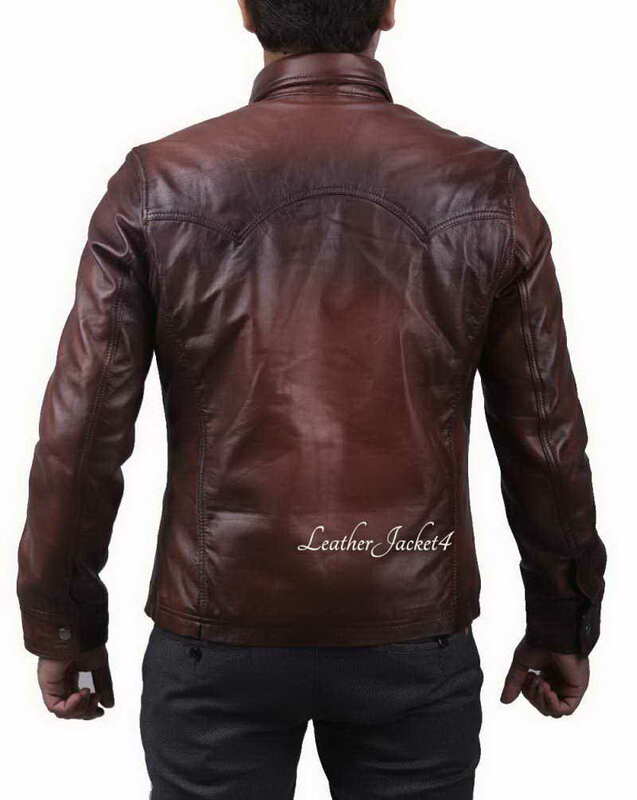 In the continuity of making top class leather jackets, we have come with an entirely new idea of crafting the relaxed fitting leather shirt in caramel brown shade. 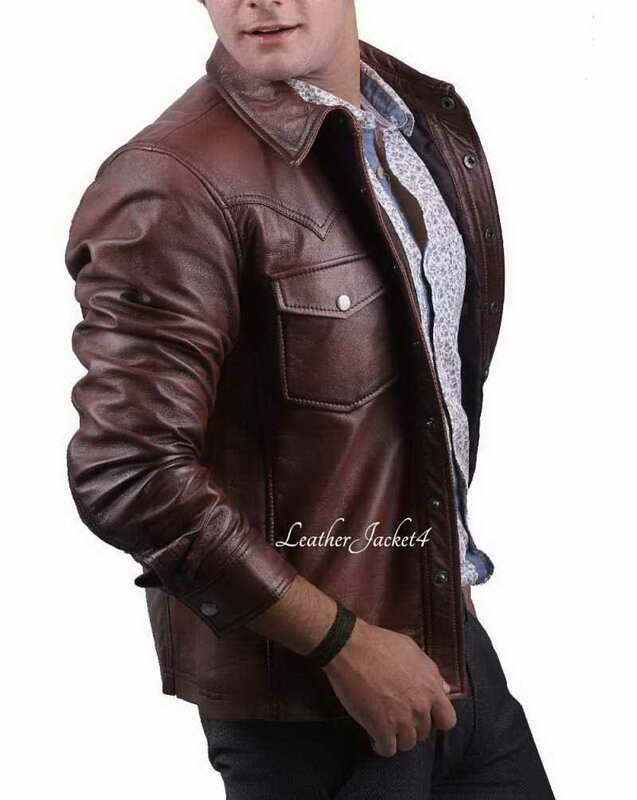 The classic look of leather is rejuvenated in a perfect handmade leather shirt to don in every casual hang-up. 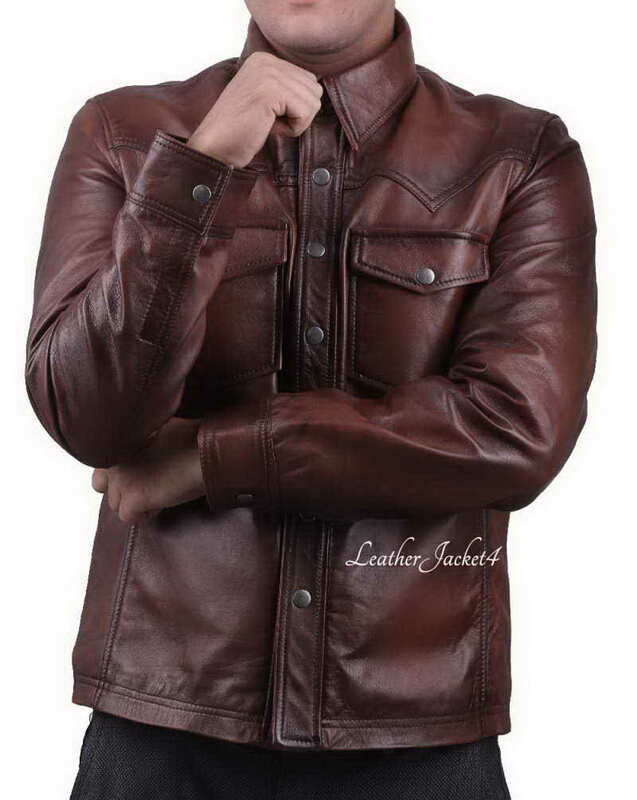 This leather shirt is made from very soft and supple real Lambskin Leather which gives it a saggy drop just like your casual shirt. 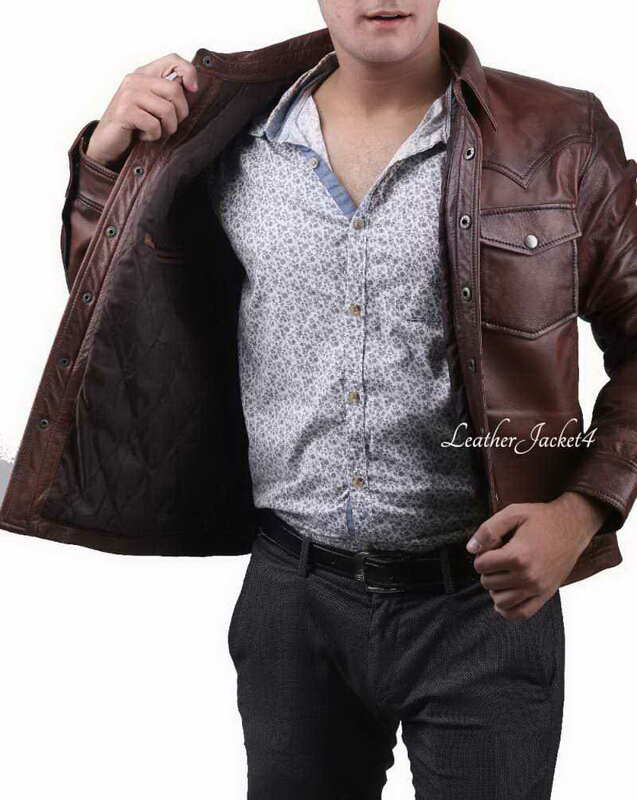 Having long and relax sleeves can easily be roll up to the elbow which makes your look stylishly disheveled. 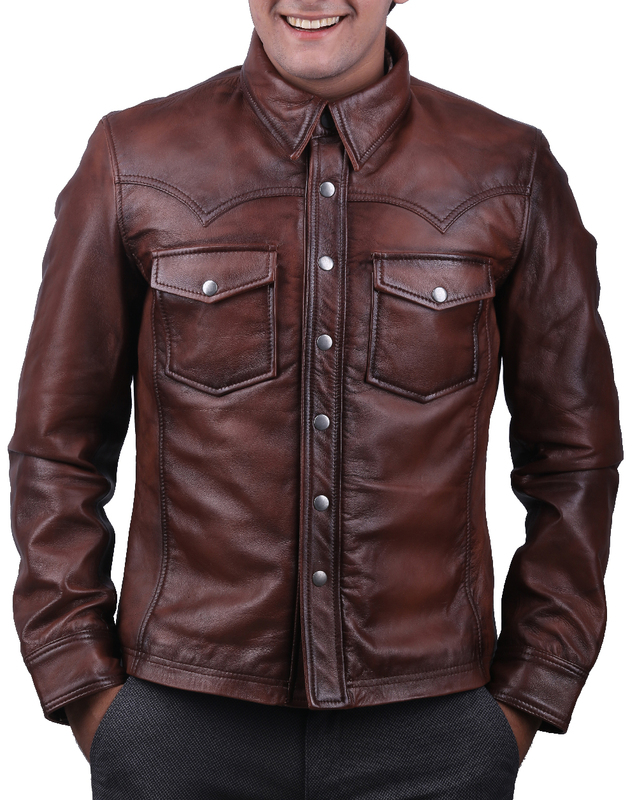 This Brown Leather shirt includes fully inner lining and snap-front-closure. 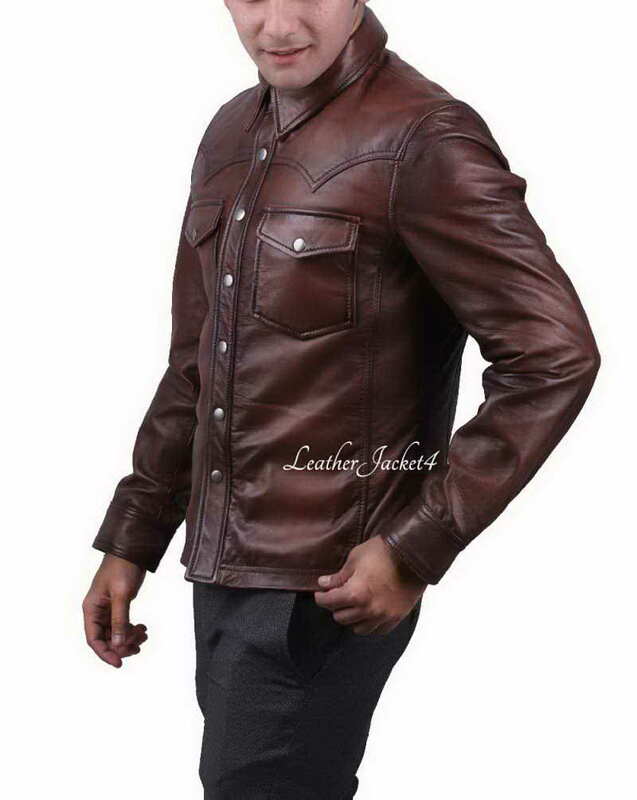 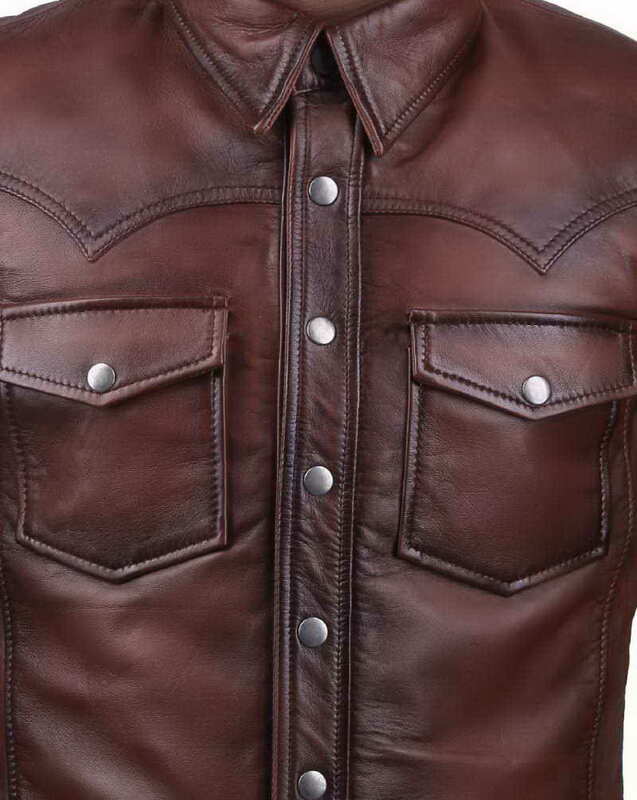 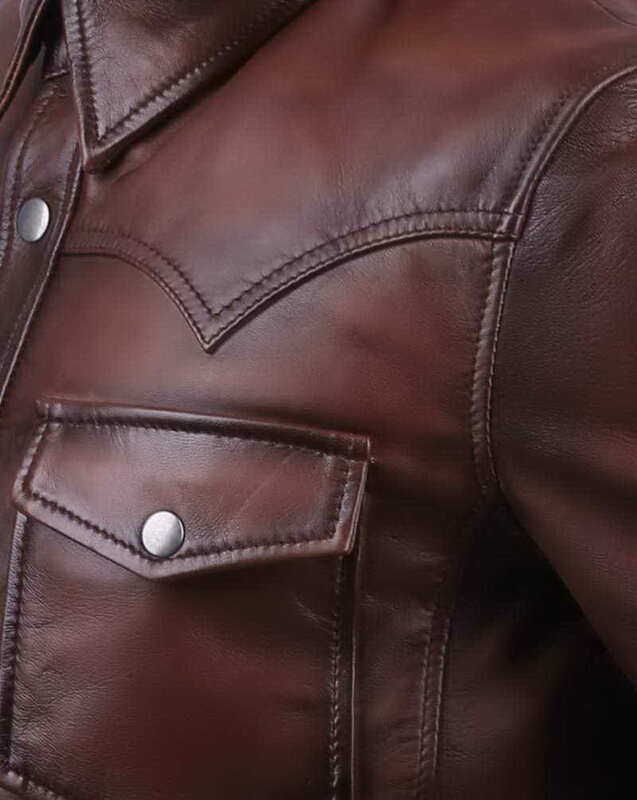 The front fascia of this leather shirt has been aesthetically featured two chest pockets with closing flaps and beautiful seam design above the chest and over back shoulders.